The Major League Baseball amateur draft, which is held in early June each year, does not get the same kind of attention as the NFL or NBA drafts. As cash fantasy baseball fans know, even successful draft choices generally take a few years to reach the majors. Many first-rounders fall well short of stardom, or even getting to the majors. But plenty of star players were originally drafted in the first round, including 12 of the 25 highest-drafted hitters in Yahoo! fantasy leagues this season. Three of these hitters were number one overall picks – Bryce Harper by Washington in 2010, Justin Upton by Arizona in 2005 and Josh Hamilton by Tampa Bay in 1999. Joe Mauer (2001, Minnesota), Adrian Gonzalez (2000, Florida) and Alex Rodriguez (1993, Seattle) were also top overall picks. Along with Harper, Upton and Hamilton, five other players drafted among Yahoo!’s top 25 were top-ten MLB draft choices: Evan Longoria, Tampa Bay (2006, third pick), Ryan Braun, Milwaukee (2005, 5), Buster Posey (2008, 5), Prince Fielder, Milwaukee (2002, 7) and Troy Tulowitzki, Colorado (2005, 7). 2005 was quite a year for hitters at the top of the draft, with Alex Gordon, picked second by the Royals and Ryan Zimmerman, picked fourth by the Nationals, joining Upton, Braun and Tulowitzki in the top seven. But Jeff Clement, picked third by Seattle in 2005, has been a bust. The remaining four first-rounders in Yahoo!’s top 25 drafted hitters are Andrew McCutchen (Pittsburgh, 2005, 11), Jason Heyward (Atlanta, 2007, 14), Mike Trout (Angels, 2009, 25) and David Wright (Mets, 2001 supplemental, 38). Five of Yahoo!’s top 25 drafted hitters were international players who were not part of the amateur draft: Miguel Cabrera, Robinson Cano, Carlos Gonzalez, Adrian Beltre and Jose Reyes. Two of the most prominent hitter callups so far in 2013 – Jurickson Profar and Yasiel Puig – were also international free agents not subject to the draft. But two other 2013 hitter callups were first-rounders – Anthony Rendon, Washington (2011, 6) and Nick Franklin, Seattle (2009, 27). Wil Myers, expected to be the next big hitter callup sometime in June, was drafted in the third round by Kansas City in 2009 before being traded to Tampa Bay this past offseason. 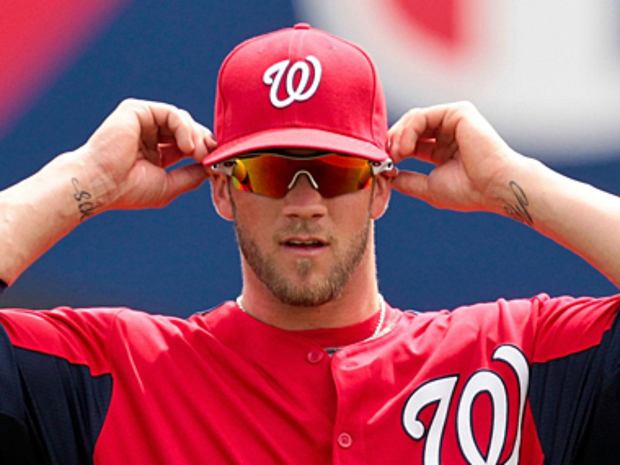 Ben Hargrove writes on cash fantasy baseball topics for sites like DraftStreet.